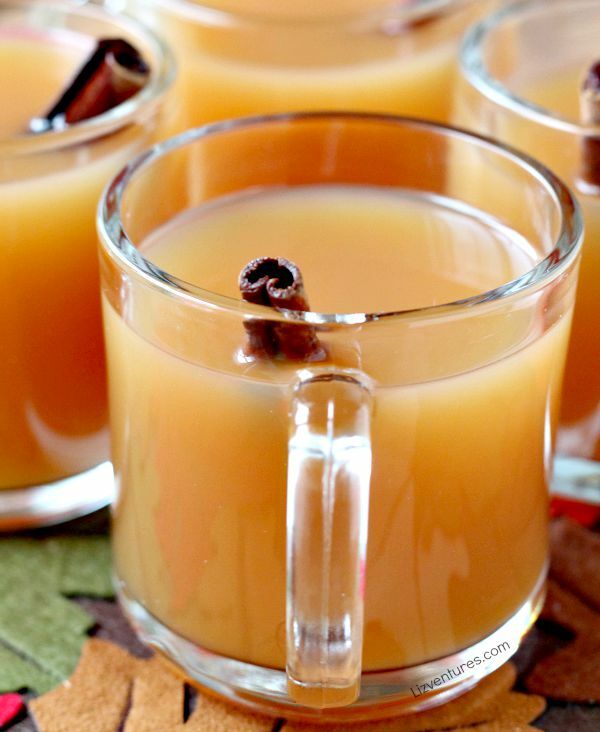 Apple Pie Cider | Hot, Cold or Spiked -- It's a Fall Favorite! What a perfect drink for fall. Thanks for sharing at Merry Monday! This looks so yummy! Thanks for linking up with What’s Cookin’ Wednesday! Apple cider is a must at our house this time of year. Thanks for sharing with us at the #HomeMattersParty link party. Hot apple cider is my go-to beverage at this time of year…it’s so cozy! We’re hosting our monthly cocktail link-up at The Sequin Notebook today, and would love for you to stop by and share this autumnal favorite! That looks like the perfect cold winter night drink! This recipe looks delish! Cider is one of my favorite winter treats! This sounds so amazing! I love Apple Cider. It is my favorite winter treat! Love this! And I am definitely going to be adding this to our fall fest recipe list. We were already thinking of some sort of cider punch or something. This is one of the reasons I love this time of the year. I’ve never heard of Apple Pie Cider but I love apple pie so it has to be yummy. This is a great time of the year for Apple Pie Cider! Going to maybe make this over the weekend. Wow this looks so yummy! I love apple cider but you just took it to a new level! This looks so comforting and delicious! I love apple pie anything! My kids would love this! This sounds like a great fall drink! It would be nice to sip in front of a fire or a football game! Yes!!! I love Apple cider. It is the perfect Fall drink. This looks like the perfect fall recipe. I have to try! 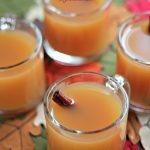 Apple cider is one of my favorite go tos every fall! Sounds like a nice and easy recipe :). I honestly didn’t know how easy it was to make homemade apple cider!! That looks so delicious! I’ve never tried making an apple cider at home. I will save your recipe. I love apple cider in the fall! I’d definitely add the Captain to it. Or apple or caramel vodka. oh, wow! That looks refreshing and sounds tasty. I might try this recipe. Looks so tasty apple, I wanna try it. Mmmmmm… this is one of my favourite autumn treats. I just love it! This sounds like the perfect fall drink! Yum! My husband would love this! He looks forward to apple pie and apple cider season all year long. I really miss my mom’s apple pie cider, it’s really delicious. This looks like a fantastic drink to have warm on Halloween and bonfire night to warm us up on those cold nights. Apple cider reminds me of my mom! This recipe looks delicious. I think it is the perfect time of year to try it! Wow, I bet with the addition of rum this apple cider will really spice you up! I love drinking mulled cider. Grab a cozy blankie, sit me by the fireplace and spike mine up! I love this take on a favorite fall drink! I can almost smell this through my screen. One of my favorite fall drinks for sure. YUM in my tum! We love apple cider around here and make batches of it all fall long. My hubs has family who own an apple orchard. We tend to get a bit overloaded. I’d probably make it with less sweetener as I don’t love really sweet drinks, but what a way to bring in fall. Nice. Yummy, this sounds delicious. I haven’t had apple cider in a long time. It is so good. You should really try it sometime! You wont be disappointed. Yum! These turned out great. Going to try it when the weather finally turns fall here! I love cider but the only thing stopping me from drinking or making it is the sugar. I love this no sugar alternative! We love Apple cider here and our neighbor has more apples than they know what to do with so this is perfect timing. This looks delicious! 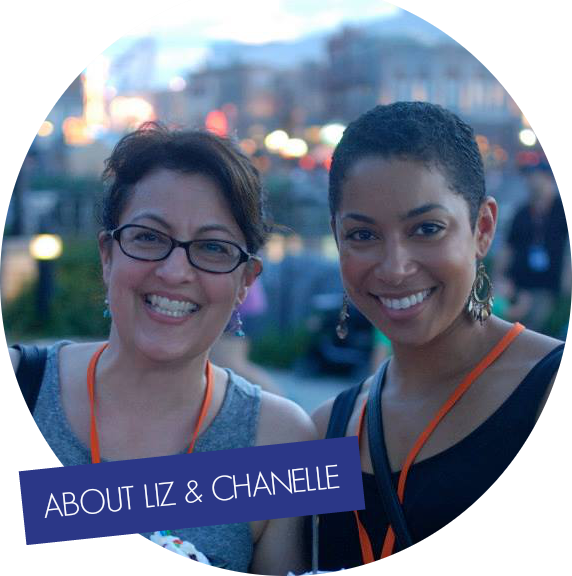 I love the smooth caramel color–YUM! This sounds delicious! It would be perfect for a fall evening! This sounds so good! I like it warm and I can’t wait to try this! Oh I love the season offerings of fall. Cider with mulled spices. Anything with pumpkin too! It’s apple cider season again! Yay! Oh, and this one takes like apple pie..Mmmm. I love the Fall but sometimesit gets a little chilly. I love having yummy drinks like this to warm me up! One of the reasons why I love fall is because of this drink. I will make some later. I like mine heated up as well. Perfect for a chilly weather. Yum! I adore good apple cider in the fall and winter, can’t wait to try out your recipe. I love appie cider! Thanks for sharing. I think I’ll try serving it cold this year :). I am in the mood for anything with apples in it. This looks so darn yummy too! I’ve never tried it, love Apple Cider. I’m sure it’s amazing! Can’t wait to try it! Apple pie cider, whaaaaaaaaaaaaaaat??? I am all over this one, what a fun way to entertain the family too! This is the perfect Fall drink. oh what a fabulous party drink. I love the sound of it and I think it would taste so yummy. Thanks for sharing. I’ve never tried it, apple is my favorite. I’m sure I would love it. I just keep coming back to your site to show this apple pie cider drink to my friends. They like it too and will be making it when they get home. That looks so delicious. I’ve never tried making it on my own. I will try your recipe. My hubby would loves an home made apple cider and this recipe sounds great i will try this recipe. This recipe will be perfect for the fall season. It’s also a plus that it can be made diabetic friendly too. Yummm… it looks so amazing!! I will try apple cider home made one!! I love this recipe! definitely! Apple pie cider sounds like fall to me! I can’t wait to try it and use Sweet n Low as a sugar replacement! I have never try apple cider home made one. The once I have try taste bitter. I am going to try apple pie cider like the name …Your ingredient is doable. Thanks for sharing. Mmmm love apple cider! Thanks for the great recipe – I’ll be filing this away to use soon, since fall is finally here! This is great! There’s nothing like a good apple cider and I have yet to find one. The kind you get from the grocery store is never very good, will have to try this recipe. Thank you, happy fall! This sounds awesome! I love that it is diabetic friendly. I bet it smells and tastes divine! Mmm, this looks so good! Perfect for this weather! Oh my, this sounds delious and right up our alley! We love cider in the fall! Hot Apple Cider is one of my favorites this time of year! It’s CRAZY how much sugar Starbucks has in their caramel apple spice,so making your own like this is the way to go! I love season drinks! I would love to recreate this Apple Cider sip! This has won its place in my recipe list. I love sipping a hot cup of apple cider. It is so relaxing. 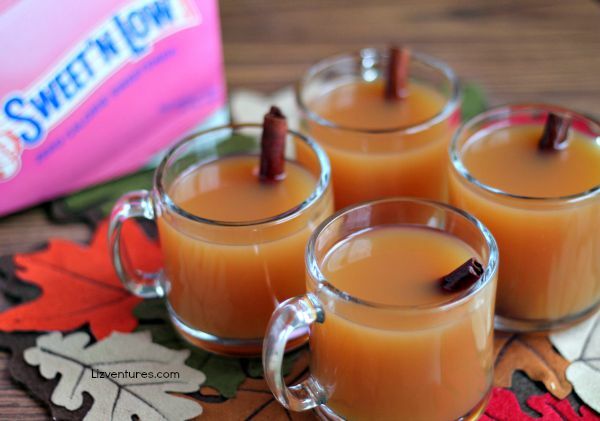 Ohhh I love apple cider so I bet I would just adore this apple pie cider! I will definitely have to try it out… thanks for the idea! This looks so delicious. I love a nice hot cup of apple cider. I will have to give this recipe a try. These look perfect for those crisp fall nights. This looks so yummy. I prefer my apple cider chilled, but my hubby would love this. Apple Pie Cider looks amazing! Perfect for the upcoming holiday season. What a nice treat for Fall! This sounds very good so I would love to try this. I have to make this. It’s almost october, so why not? And it’s fall! This sounds so good. I like the sound of apple pie right now! Ohhh yes! Today is one of those days where Apple Pie Cider would surely hit the spot! I think it would be amazing spiked too! I will have to try Sweet N’ Low in some recipes this Fall I have not used it in years. Thanks for suggesting that! The days are becoming perfect for enjoying apple cider. I can’t wait until the days start to get cooler. I love apple cider. I bet this hot apple cider makes the house smell so good! I love that you can serve it cold as well. Here in Sunny Florida it stays hot all the way through fall. Looks yummy! Oh wow!! This sounds delicious!! I love fall and everything about it, including fall drinks. This sounds scrumptious. Sweet N Low in an Apple Pie Cider recipe for a group mean I can make enough for friends to enjoy, even the ones who can’t have sugar. I use it for my father-in-law, but it’s so tasty that none of us mind the swap. This sounds amazing! I’d love to try this! I’ve never tried apple cider before. This looks delicious! This is a perfect drink to have while relaxing on a lazy fall afternoon. I love that it is very easy to make and preparation is quick – just the right thing when you suddenly have guests in the house. Boy that sounds good. It looks even better. What a great fall drink to have after a good football game. I will take mine spiked please. Yum! Looks delicious! My hubby LOVES cider, so I know he will love this! Will definitely be making some. This sounds like a great twist to the classic Hot Apple Cider! Yum! Spiked is they I would go with this! Seems like a perfect fall party drink. I always appreciate a beverage that can help me connect to the season and this one sounds perfect for fall. It’s great that I can make a batch, set some aside for the kids and add some alcohol for the adults too. Oh wow, this looks absolutely delicious! I have never had apple cider, but I want some now! This is the perfect drink for a fall afternoon with friends. I love the twist you added by putting half apple juice and half cider. I can’t wait to tyr it! My father-in-law has diabetes, and I’m always on the hunt for recipes to enjoy with him when he comes over. I know this will be a great treat for all of us. This is perfect for those of us who are still experiencing rather uncomfortable temperatures. I want it to be fall, but it’s hard to get into the spirit of the season when it’s 90 degrees outside. Chilled cider for me! I love that you can serve it in so many ways! This sounds like such a great recipe. I absolutely love apple cider and would love to drink this next to a roaring fire. Nice. This sounds like such a great treat. Perfect for fall time. Now that fall is finally here, I am back to enjoying warm drinks at night. Your apple pie cider sounds delicious so I will definitely be making it soon. I have just recently started to like apple cider and this sounds DELICIOUS! I can’t wait to make it! I LOVE fall! Fall is a great time for cider. We always drink cider at Christmas time too. 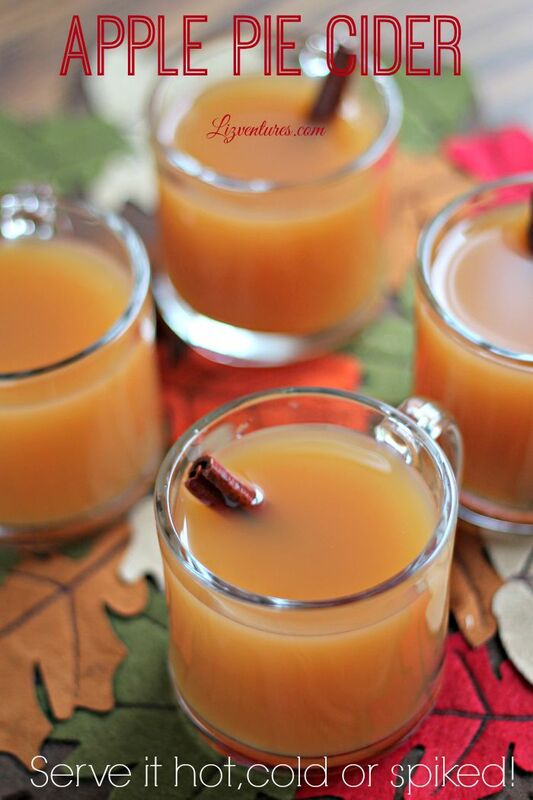 I would love a spiked glass of this apple pie cider to enjoy around the fire. This looks very delicious. I love apple cider! I really like the different twist on this recipe. I’m going to have to try this out soon. Apple Pie cider sign me up! I’d love to have a drink like that during this fun Fall times! This looks wonderful! Tomorrow is going to by my “Apple” baking day, so I should try this!! This drink is definitely perfect for the fall! I love that it’s served with a cinnamon stick. The ingredients are easy to find and the recipe can be followed without difficulty! I know it would be delicious, but I have never tried a cider. Cider is a great fall drink! It really has a lot of the flavors of the season! This sounds so yummy. I always look forward to the cooler weather which means hot drinks. I can’t wait to make this cider recipe. Sounds like a perfect fall drink. I love that you can serve it with or without alcohol. I really like apple cider in the fall and winter, especially around the holidays. I need to watch calories during this season, so I’ll try your recipe. Looks delish! i have been craving some warm apple cider today. This is so yummy lookign and easy to make. MMM sounds like a great drink to sip while sitting outside on a fall day. I like that it can be for adults or kids. I’ll take mine spiked please! I bet these make your house smell awesome too!! First of all, love those mugs! Second of all, this looks SOOO delicious! Oh Liz. I was just looking for a recipe for apple cider. Thanks for sharing this because I will sure be making this for sure. I love apple drinks (whether it is cider or juice), I think I would leave out the sugar (I get sweeted out quickly) I think we will try this during our halloween party! This looks and sounds perfect! I’m going to try this recipe, minus the sweet and low. Oh my goodness! YUMMY!!! I’m gonna try this over the weekend! I guess I don’t understand the need for the Sweet and Low. Both apple cider and apple juice are sweet enough. I think I ‘ll skip the fake sugar but do the rest. Oh wow. This sounds so good!!!! Wow my favourite, apple cider! Looks tasty! Apple cider, cinnamon…all things that are my favourite! I really need to make this soon. I love anything that is apple flavored, especially in the Fall. This is probably perfect for warming up on a cold evening. APPLE PIE CIDAR?!??!?! I be getting DRUNK tonight! LMFAO! Hopefully it’ll stay warm and we won’t need drinks like this. I know the cold is coming though, so good idea to have this recipe on hand. I LOVE Fall! It is the best time for hot beverages! I can’t wait to try this recipe out in our new home! I never thought of adding Sweet n Low to apple cider–what a great idea for diabetics like me–apples have enough natural sugar-I don’t need any extra!! This recipe sounds delicious and I think hot would be my choice. This sounds amazing…I can almost smell it from your photos! lol I love the added touch of a cinnamon stick in each glass! Cinnamon sticks were invented to go in drinks like this – I am convinced of it.